I can’t believe that two weeks from today I will be on my way to the UK. Needless to say, this next fortnight will be mayhem! I will be off to Braids 2012 in Manchester followed by a visit to Cambridge, a short spell in the Netherlands (first time!) and then a little time in London before heading back home. Hopefully all the Olympic madness will be over. Maybe I can pick up a nice souvenir at a post-Olympic sale. 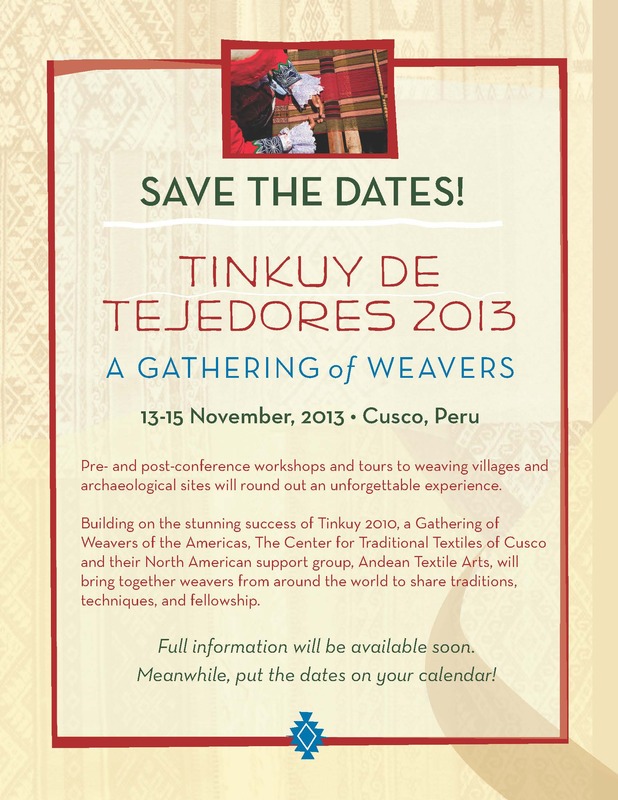 I know that I will meet lots of weavers and fiber folks. There will be familiar faces…Rodrick Owen, Robyn Spady, Ingrid Crickmore who will be teaching but who is also one of my regular backstrap weaving students and Eileen Thompson with whom I stayed during my visit to Texas last spring. Despite that, this UK trip feels a bit on the scary side…don’t ask me why! I spent time in London in 1982. I was there right when the whole Falkland Islands, Las Islas Malvinas crisis erupted. It seems I was not as fond of taking pictures back then and one of the few I have is one of my very bedraggled self feeding pigeons in Trafalgar Square on a drizzly day. I will be back in September with time to think about a couple of other textile events…. 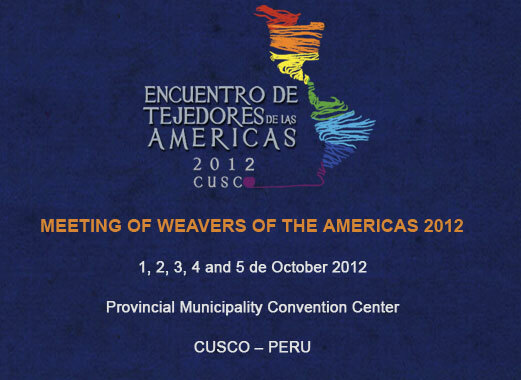 This event will be held in Cusco in the first week of October. Right now it doesn’t look like I will be attending. For some reason there are no direct flights between La Paz, Bolivia and Cusco, Peru like there used to be and the only option via Lima costs more than ticket to the US! However, there is always a chance that something will come up between now and then so I will leave that up to the gods. One of the organizers of this event is a Peruvian anthropologist that I met at a similar gathering here in Santa Cruz last year. It was a very nice low key and intimate event. Somehow I think that this one in Cusco will be much larger. And then, planning way ahead to 2013 there will be this…. Exciting! It seems so long to wait….but that is how I felt about Braids 2012 and here it is almost on top of me now. As for my book, well, that’s a waiting game now. There is some technical stuff that I am simply not equipped to deal with and so I have had to hand over to some kind helpers and will wait and see what happens. Actually, I have to admit that it is nice NOT to be able to work on the book today as I am, quite frankly, exhausted from peering at the 10″ screen of this mini computer! However, it makes me all fidgety and I find myself shuffling through pattern charts and books when there really isn’t anything productive that can be done at this point. What is the solution for that? WEAVE! I just got an idea about what to do with the white demo warp that I carted about the US last spring. It is warp-faced plain weave and white…can’t get any simpler than that. I added some twining in red, blue and black and there it has sat waiting…..waiting for inspiration. Well, I think it has come in the form of this…. 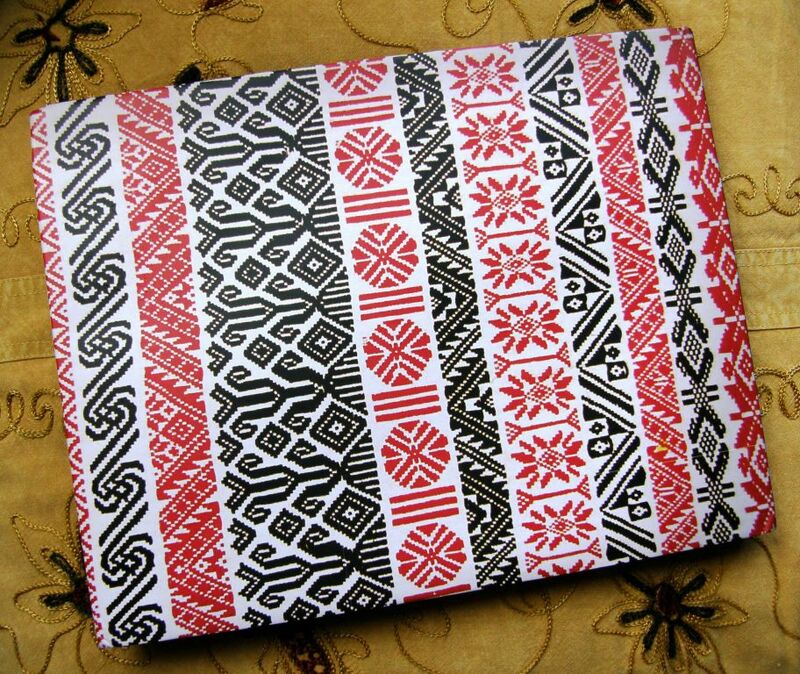 This is the back cover of a beautiful book on backstrap weaving in Bangladesh, Strong Backs, Magic Fingers. 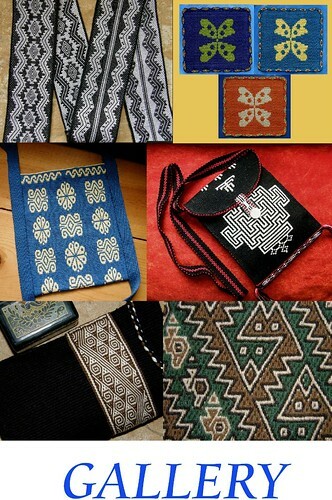 It shows an alam which is the traditional sampler that girls in the Chakma ethnic group are supposed to weave in order to master 210 designs and show their weaving skill. Most alam designs are drawn from nature: from flowers, trees, reptiles, birds, and animals. 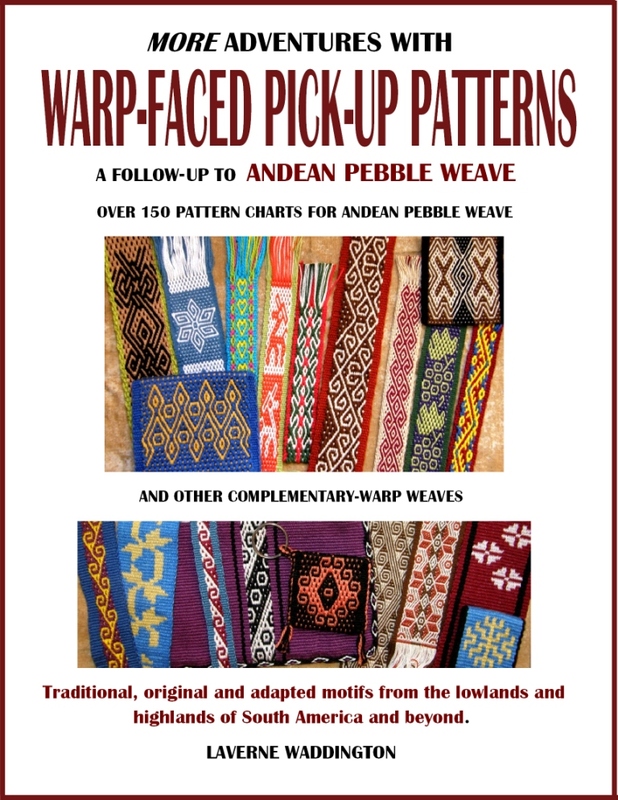 Some of the names suggest the source of the image; other designs are simply called by the number of lines of weft needed to make up the design. The last part I found interesting as Maxima, one of my weaving teachers from Cochabamba, also gave some of designs in her pebble weave repertoire simple numerical names according to the number of pairs required to weave them. She had a set that she would refer to simply as tawa chinito meaning four pairs. 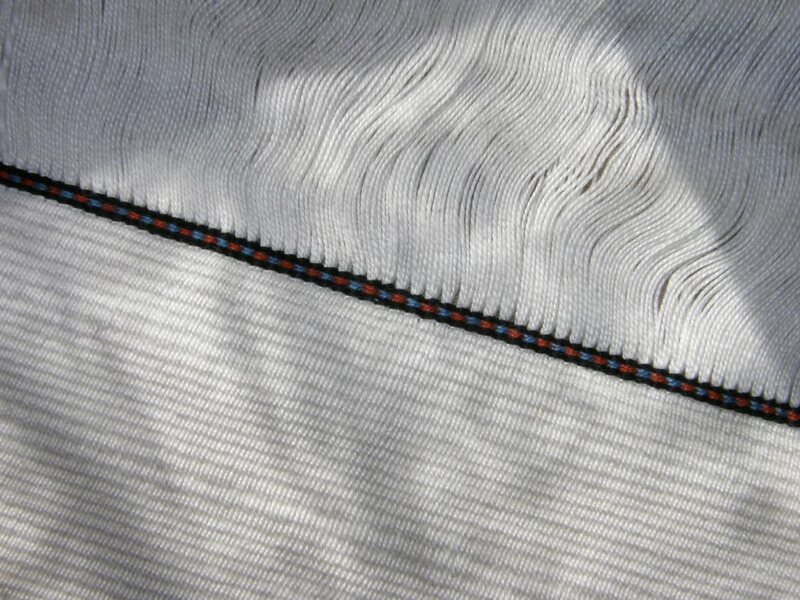 The older alams, according to the book, are woven in black, red and white yarn. Those colors sound right up my alley, right? 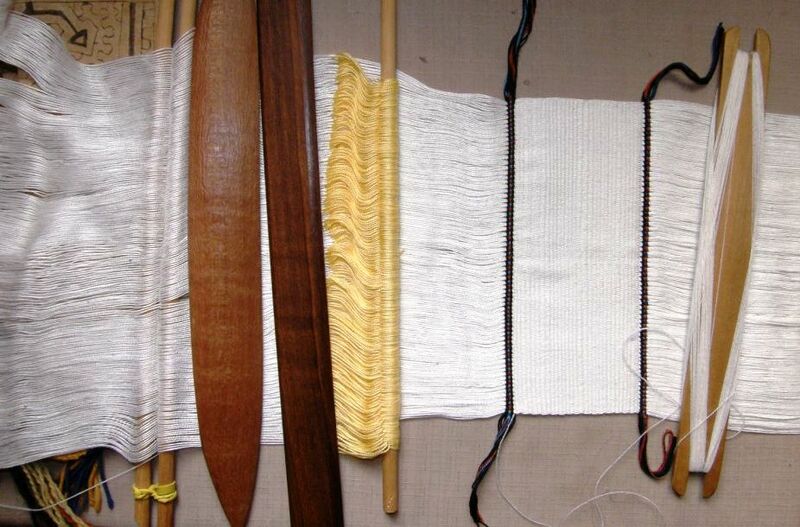 The ground cloth is a balanced weave. I will take some of the 210 possible alam designs and use them as inspiration for my white warp-faced piece, creating patterns with red and dark blue supplementary wefts. Speaking of color and lack thereof, I had fun weaving samples for my book and put together this fun collage of colors that I would never dream in a million years of ever placing in the one piece…. It’s just two bands with both their faces photographed and put together. I think the result is very exotic! and can imagine pillows covered with fabric like this scattered about on the floor of a tent on the high plains of Central Asia…The pattern is indeed inspired by those I have seen on Central Asian textiles woven in various structures and I have adapted it to pebble weave. This is what one part of my book is about…adaptations of traditional textile designs from other far flung cultures to the pebble weave structure. I had a lot of fun with that. After a while you start seeing the potential for pebble weave in everything! 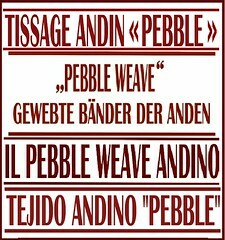 A follow-up to Andean Pebble Weave, it says. As I mentioned in a previous blog post, this book does not stand alone as a how-to type of book. 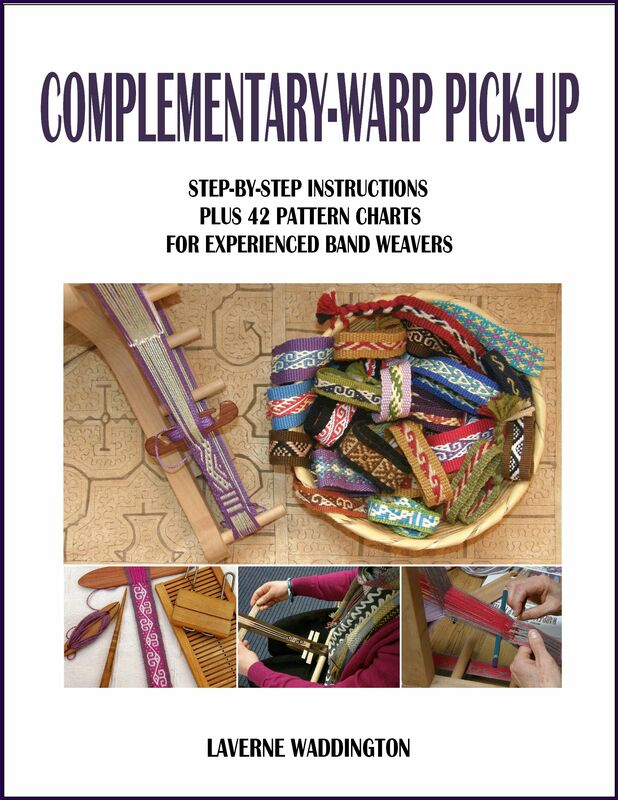 It builds on skills and know-how to which you will have been exposed in my first book and then goes beyond with instructions for other complementary-warp pick up weaves with lots of pattern charts. So now I am going to step away from the computer with its book files, pictures and charts and head to the loom, stepping over all the charts and sketches on the floor, ignoring the tempting pile of books open on the table…time to dig out that supplementary weft yarn. 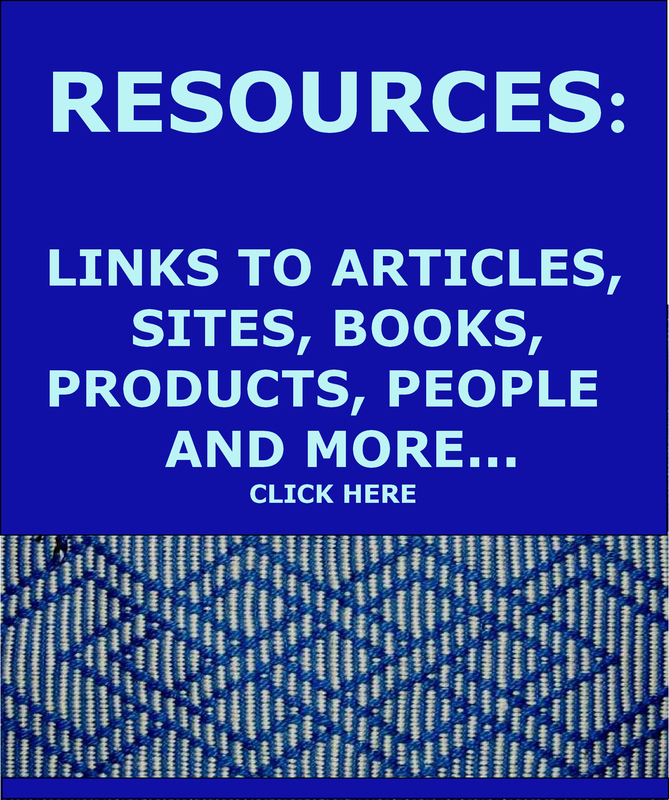 I am salivating over your new book – even as I continue learning the lessons in your first book. Your red, black and white is so beautiful and inspirational that I am using those colors for all my learning. May your travels to UK and beyond be peaceful, joyful and trouble free. I so hope to meet you in person someday. Yay! I can’t wait for the new book. Nice job on the cover, Laverne! Looks beautiful!